Kids' Book Review is delighted to welcome author Lesley Gibbes who shares with us her journey to publication and her tips for want-to-be authors. 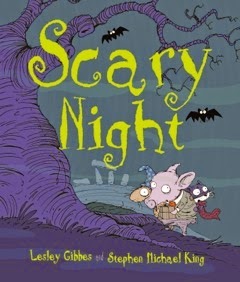 Lesley has just released her debut picture book Scary Night, published by Working Title Press. It was a gardening day at Flower Power when my phone rang and I got the call every want-to-be writer dreams of, a call from a publisher who’s just pulled your manuscript out of the slush pile and loves it. I was so excited when the person on the phone said she was Jane Covernton from Working Title Press and she was interested in my picture book Scary Night. What followed was a lengthy conversation about what type of story Scary Night was and what I was visualizing as I wrote the sparse text. It was a bit of a struggle to answer her questions and embarrassingly, I had to ask if she would put our conversation into an email because my two very young children were bickering and tugging on my trouser legs in the Flower Power play equipment area, competing for my attention. Finally, Jane asked would I mind if she took Scary Night to the next level. Well, I had no idea what the next level was so of course I said yes! The next level, as it turned out, was to give my manuscript to an agent and see if an illustrator, a very particular illustrator, was interested in taking it on. It turned out this illustrator was interested and guess who he was…Stephen Michael King! I was tickled-pink! What came next was a two and a half year wait until publication and that awful feeling that perhaps you’re just a one hit wonder. So after a bad bout of writer’s block (6 months), I set to work and secured an agent, had another three picture books accepted for publication and landed a chapter book series too. It’s been such an extraordinary journey. So how did I get here? Like many want-to-be writers I have a background in education. I’m a primary school teacher and I think that’s played a huge role in my success. As a teacher you spend all day with your target audience, talking, laughing, sharing in their experiences, seeing what tickles their funny bone and most importantly reading to them, again and again and again. Over sixteen years I read the best literature I could find to my students and all that reading taught me a great deal about the structure of children’s picture books, chapter books and novels. But it wasn’t until I took leave after sixteen years in the public school system to have my two children that I began to write for publication. It all started in 2011 when I took my first writing course at the NSW Writers’ Centre with author and editor Frances Watts. It was the first time in years I’d been out on my own without my children, doing something just for me. I was so motivated I bet I could recite every word Frances said. I went on to do many more courses over the following years and spent most evenings writing away after putting the children to sleep. I set a goal to write a picture book each month and stuck to it. It didn’t matter if it was terrible, what mattered was the practice. After a year, I found I had some stories that I thought were working, so I sought out courses where I could read my stories out loud and get some feed back from industry professionals. This constructive criticism was gold. I entered manuscripts into competitions, utilized manuscript appraisal services and sent my stories off to publishing houses until at last Scary Night was accepted! So here’s my writing advise to other want-to-be writers just like me. Don’t let anyone say it can’t be done. Someone gets to write stories for children, why not you? Write every day, be disciplined and set goals. Read extensively in the genre you wish to write. Always finish what you start or you’ll get good at beginnings and not middles and endings (Frances Watts). In my experience it’s the ending that clinches the deal. Network and meet people in the writing industry. This is where you’ll find opportunity. Do courses, do more courses, enter competitions, pitch your books, get your manuscripts appraised, find a mentor. Don’t be afraid to fail. Fear will kill your creativity. Remember it’s ok to write really badly. The writing community is very supportive, so ask for help. And finally, don’t give up. Writing is a craft and it can be learned. Perseverance is the key. Best wishes, happy writing and fingers crossed you get the call whilst shopping at Flower Power too! Australian author Lesley Gibbes' picture book Scary Night, illustrated by Stephen Michael King, is now available. She has two additional picture books, Bring a Duck! and Little Bear's First Sleep, scheduled for publication in 2015 and a chapter book series illustrated by Stephen Michael King scheduled for publication in 2016. 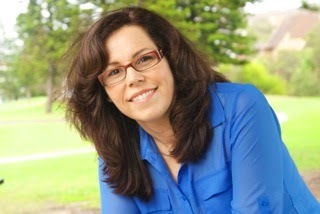 Visit Lesley's website and Facebook page for more information about her books and writing.